Summary: If you have suffered an injury in your office, you might be entitled to workers compensation benefits. When we talk about workplace injuries, construction sites, assembly lines and mines often come to mind. It is hard to believe that office workers may be as susceptible to workplace injuries as other types of workers. Slippery tiles, computer cables and heavy filing cabinets are hazards that can cause injuries. Office workers can suffer a unique set of injuries, some of which are more common than others. 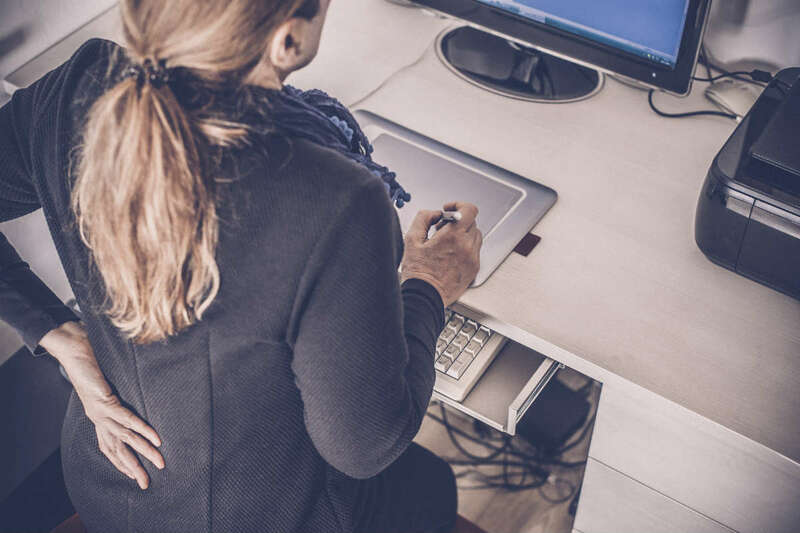 In this post, our St. Louis injury lawyers will discuss some of the common workplace injuries that office workers are susceptible to. Strains are another common injury that office workers commonly suffer. While office workers do not usually have to lift heavy objects on a daily basis, they may have to lifts objects such as printer paper, cartons for copy machines, or large stacks of files. This can lead to a strained backs, necks and shoulders. One of the most common repetitive stress injuries sustained by office workers engaged in repetitive motion injuries is carpal tunnel syndrome. The injury develops over a period of time when repetitive motions put pressure on the median nerve, and causes pain and numbness in the fingers, hands, and wrists. Some types of workers such as data operators and analysts, computer programmers, writers, graphic designers, and office assistants are at a higher risk of developing repetitive stress injuries. This may sound surprising but even office workers are prone to getting caught in and between two objects. Seemingly safe office equipment such as printers and copiers can injure workers trying to operate, reload, or un-jam the machines. These injuries often happen when fingers, jewelry or hair become pinched or trapped in the machinery. Finger injuries are commonly reported. Have you been injured at the office? If you have suffered an injury in your office, you might be entitled to workers compensation benefits. Contact an experienced St. Louis work injury lawyer at the Law Office of James M. Hoffmann today to learn more about your legal rights. Call (314) 361-4300 today to schedule a free consultation.